Hello! Today I have a Painted Polish crelly to share with you. Painted Polish is one of those brands that I've been following for ages, but for some reason never got round to trying. With their recent launch over at UK stockist Rainbow Connection, I decided to finally pick up a bottle. I went for 'Rainbow Reef'. Read on for my swatch and more info! 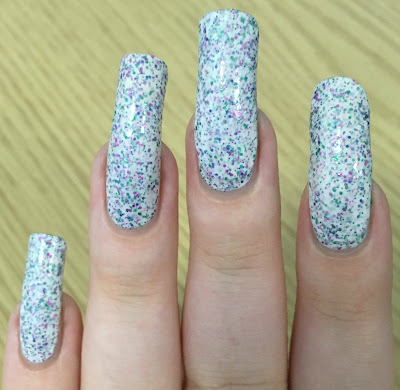 'Rainbow Reef' is a white crelly base packed full of pink, purple, blue, and green metallic glitters. The formula is a bit thick from the dense glitter, but it honestly doesn't feel that way. It applies so smoothly and easily. It was also surprisingly opaque. It wasn't quite a one coater, but it was fairly close. The glitters dry slightly raised so I would suggest topcoating. Below is two coats and topcoat. What do you think? I like this ten times more than I thought I would - actually I love it! I've never seen myself as a white crelly person but this looks amazing on. I think it would look perfect paired with colours matching the glitters. I'm trying so hard to resist going back on Rainbow Connection to buy more. The Halloween crelly is calling me! 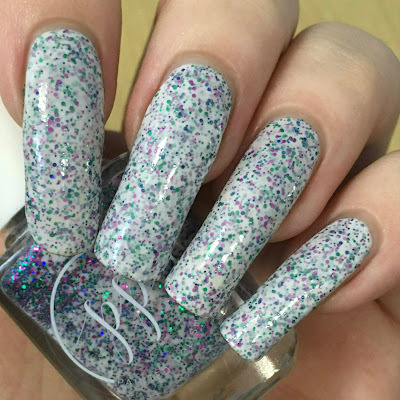 You can find 'Rainbow Reef' on Painted Polish's website here. You can also find it on Rainbow Connection (UK) here. It is limited edition, so won't be restocked once it's gone! 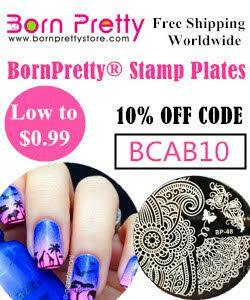 This is a beautiful polish! I've never tried any polishes from Painted Polish before. I think I need to try this brand. I am loving this! There's so much colour in those flakies, this is so pretty!